Also known as The Pink City and regarded as the pristine gem of the golden sands of Rajasthan, Jaipur is slowly becoming couple’s favourite destination to get hitched royally and in an abundance of luxury. Offering drool worthy sights of majestic forts and imposing palaces, the pink city is festooned with some of the country’s most staggering palace hotels and opulent venues making your awaited destination wedding in Rajasthan dream come true. Fortune Park Bella Cassa is one such exotic venue that is nothing less than a paradise for the couples seeking an ideal spot to tie the knot in the royal city of Jaipur. Falling under the roof of ITC Fortune Hotels, this grand hotel is a fine work of architecture and some intricate interiors. 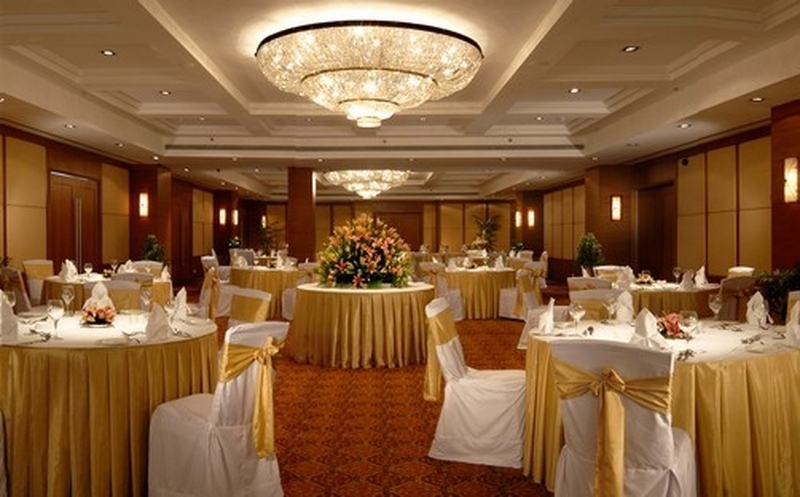 It also offers some of the most scintillating venues equipped with all the amenities to carry out all your nuptial events in splendour and merriment. Located near the commercial hub of the city, Bella Cassa captures the true soul of Rajasthan embodies it to the perfection. Before coming up with any decision, you should once seek in your budget basket after being through with the below-mentioned stats. Accommodation: The venue offers a total of 109 plush rooms with 10,000 - 14,000 INR per night. So if you're interested in hosting a royal wedding at the Fortune Park Bella Cassa with a guest count of 200, here’s an estimation of your total expense. 1. Mandap: Select your mandap style depending upon your event venue type as well as the theme. 2. Tables & Chairs: In order to assure comfort to all, it’s requisite that you have a correct count of your invited guests. 3. Aisle: This is your chance to decorate your dream aisle and walk to your man like a queen. 4. Centerpeices: Well planned and positioned centre pieces add to the highlight of the event as well as elevate the aura. 5. Dance Floor: Make sure your decorator has a dance floor added to the list! Because what’s a big fat Indian wedding without some punk bhangra and catchy moves. 6 LEDs: Venue allows outside decorators which gives you an access to make your wedding venue paradisiacal with the help of some LEDs. 7. Lighting: Lightning plays an important role in setting up the ambiance, so make sure you don't go wrong with that. 8. Stage: Here’s where all the spotlight it! Consult with your hired decorator before finalising any stage setup. 9. Floral Decoration: This is our favourite part of the wedding decor. From mandap to the stage, from welcome to the bride's hair, flowers are everywhere! Go with the tropical tulips and orchids to leave a statement. You definitely need a professional photographer with some swift hands on the lens to capture your most awaited royal wedding in Jaipur, Rajasthan! In order to avail the best, we suggest you to pre- book your lens crew! Wedding preparations need a logistic department which is lively and buzzing with activity! Select a bunch of fitting crew members and vendors to fulfil your requirements. The venue allows the use of speakers and microphones only till 10:30 pm. The venue allows outside DJs with plug-in charges extra. We strongly recommend you to book your makeup and Mehndi artists in advance in order to avoid any last minute hassles. A soulful performance by the local group of Rajasthan definitely gives a new dimension to the event as well as becomes an important highlight of your event.